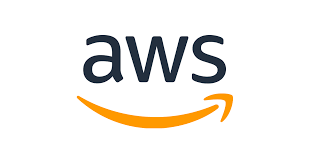 Amazon is seeking adventurous IT and maintenance professionals for our Amazon Web Services Team. These future Amazonians must hold a government clearance and be willing to go to one of three locations to complete specialized training to prepare for deployment in a data center region. It is expected that training will be completed over a duration of 6 months. Once training is completed, individuals will be relocated to the permanent location. This engineering operations technician position serves as the on-site maintenance technician and operator for an AWS data center. The Data Center Engineering Operations Technician (EOT) is responsible for operating and maintaining all electrical, mechanical, emergency generator, and fire/life safety equipment within the data center. The EOT serves as a technical resource to support Amazon within its data centers. Data center equipment that supports mission-critical servers must maintain better than 99.999% uptime. EOT’s are also tasked with driving innovation while reducing operational costs in the facilities. EOT’s are Amazon’s front line responders for hands-on electrical and mechanical equipment troubleshooting and operation. This equipment includes, but is not limited to, stand-by diesel generators, switchboards/switchgears, UPS’s, PDU’s, AHU’s, pumps, motors, VFD’s, and building automation systems. They provide 24/7 shift coverage which could include 12 hour shifts, rotating shifts, 3, 4, or 5 day work weeks, and may change based on the needs of the business. This position may involve a night shift. · Able to relocate for up to 6 months for specialized training to prepare for a deployment location in a new data center region. · Fundamental knowledge of network design and layout as well as low voltage (copper/ fiber) cabling. This position will fill an opening at one of three separate sites. This position may involve a night shift.